Well, knock me sideways with a kipper (or something ruder, but Facebook won’t share my post if it has expletives in the preview); these molars are really something aren’t they? Yes, we’ve been through it before; we had the molars with number one. We have suffered for teeth, repeatedly. But I don’t think we (or perhaps, anyone in the world) ever truly suffered as badly as we are suffering now. Between us, my husband and I have been up pretty much every hour since last Friday. 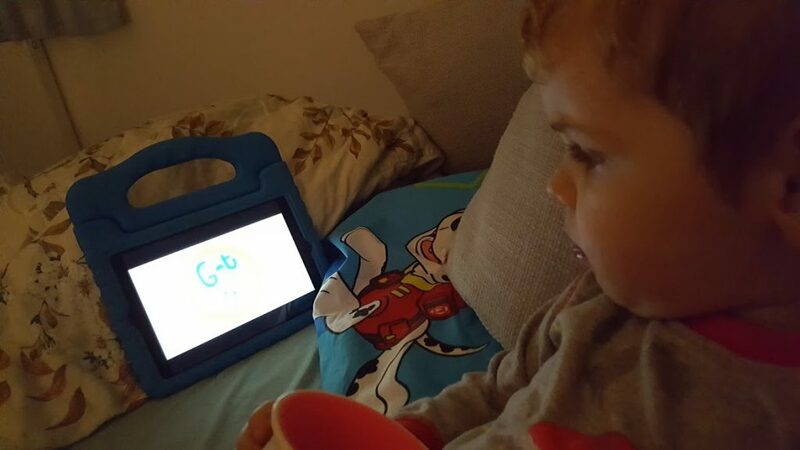 The evenings have been spent either running up and down the stairs, sitting by a bed stroking his head or sitting downstairs watching Paw Patrol or Dr Ranj. It’s been relentless, no breaks at all really, and we are both wrecked. Why has no one developed a magical cure for teething yet? Or better still, designed children that don’t have to teethe? 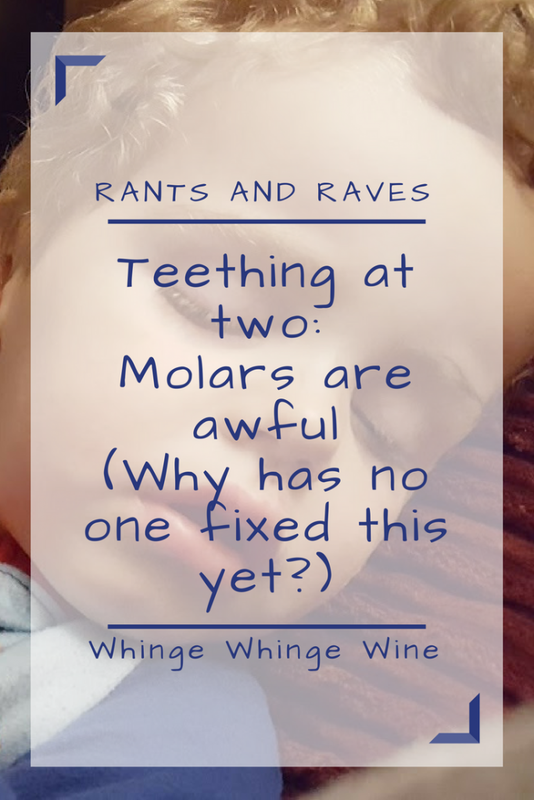 When I’ve said ‘Oh, he’s teething; it’s the back molars’ (usually by way of explanation as to why my son is screaming and grabbing his face in the trolley, lying on the floor smacking his fists into the ground or we all look like we’ve not slept for a week) the first question most people ask is ‘Oh can you see them?’. Lady, I don’t need to. When you have a two year old awake at 2.15am for the fourth time that night screaming MY MOUTH HURTS and drooling plentiful, disgusting vinegar-smelling drool all over your face, because of course the only way to get through this is to let them sleep with you, then it’s pretty much an OK assumption to make that is is in fact the teeth which are causing the discomfort. Oh, wait, that’s him. Be right back. Feeling desperate and in need of a little assistance, I asked Google what the hell to do to ease his discomfort. Erm, no. Medication is a wonderful, wonderful thing. A last resort would be putting him up for adoption or something, not a syringe of Neurofen. 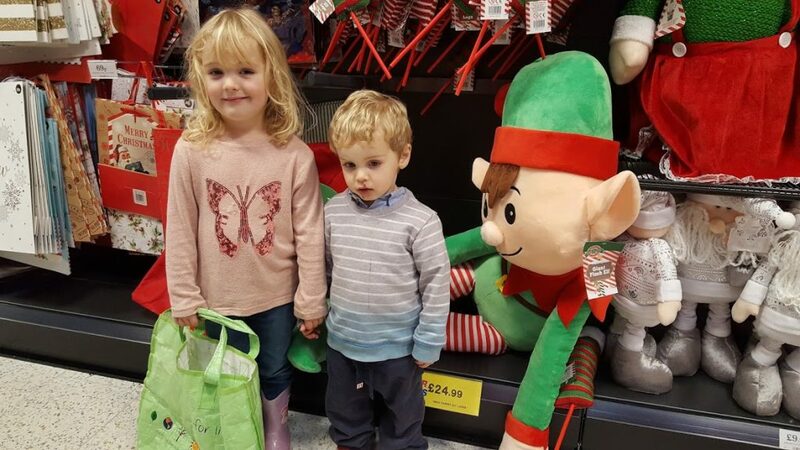 Dear lord, show me these two-and-a-half year olds who are happy to let their parents poke their hands inside their aching mouths. I would genuinely lose a finger. It was at this point I stopped reading useless internet advice and added more Calpol into my online shopping basket. 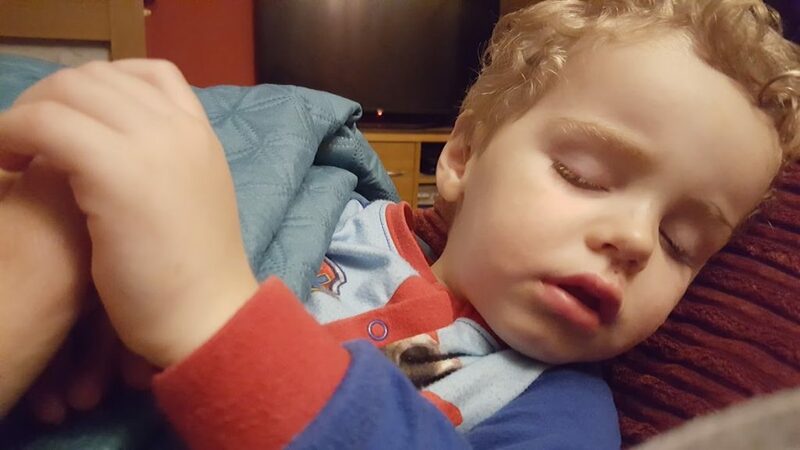 1) It involves broken sleep for anyone, including other children which means that they’re also ultra-delightful and easy to cope with on the limited sleep you’ve had yourself. 2) The teething child may well refuse to eat anything which means as well as waking up in pain constantly, they’ll wake up hungry. Super loveable, and again, easy to cope with on four hours of broken crappy sleep. 3) They might not nap, even if they really really need to. Three hours of my life I wasted, over two days, trying to get him to go to sleep. Every time I’d think he was down and sneak out, silently, like a ninja…he’d wail. Wash rinse repeat, give up. You know when their eyes are red rimmed and they look like they might just pass out any moment? He has kept that look up all day every day since Saturday. 4) There are some really stupid comments. Someone will ask why you look tired, and then you’ll tell them and they’ll say ‘Oh I barely noticed with mine, must have happened overnight’. This is probably the same woman who’s child slept through from 5 days old while yours hadn’t even shut their eyes yet because they are a superior parent. BULLY FOR YOU MARY. 5) You’ll also get through more wine than usual. Calpol for them, Sauvignon for you, and make sure that both are the extra large bottles. …And there he is again. The molars can just bite me. 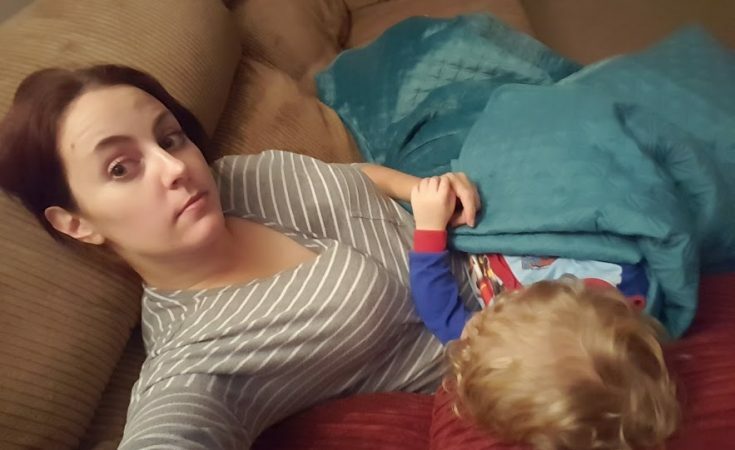 Feeling your pain – why does my sleep have to suffer because she’s teething – GOD!